It finally happened on a hot and humid afternoon in July. Adrian Beltre made history. The Rangers third baseman need just one hit on Sunday to join the exclusive 3,000-hit club. In the bottom of the fourth inning, magic was made. Beltre laced an RBI double to left, becoming the 31st player to collect 3,000 career hits, which usually is a lock for the Hall of Fame. He is also the first Dominican-born player in major league history to collect 3,000 career hits. By the way, the Rangers lost to the Baltimore Orioles 10-6 but the game itself was the furthest thing from anyone’s mind. At least it was on this day in history. After the hit, teammates joined Beltre on the field to congratulate him, with some of the Orioles players joining in. Beltre’s three kids ran past him and out to right-center field, unveiled the “Adrian Beltre 3000 Career Hits” sign, then sprinted back towards second base to embrace their father. Beltre also became just the third player to reach 3,000 hits playing primarily at the third base position, joining Hall of Famers George Brett and Wade Boggs in that category. Of course, when Beltre stepped up to the podium during the postgame press conference, he brought his trademark humor with him. “I’m here so I won’t be fined,” said Beltre, breaking out his best Marshawn Lynch impersonation. After a few moments of silence, Beltre started laughing and added “sorry, I had to do that.” He’s got jokes people. Beltre is in his 20th season in the majors. He began his career with the Dodgers and played seven seasons in Los Angeles. Beltre then departed to Seattle and spent the next five years with the Mariners. After a one-year stint with the Boston Red Sox, he signed with the Rangers in 2011. This was a moment that Beltre admitted never crossed his mind when he started out with the Dodgers. Now at age 38, Beltre still is going strong and signed through next season. Anything after that is still up in the air. Sunday was a big day for the Texas organization. The historic moment happened moments after former Rangers catcher Ivan Rodriguez was inducted into the National Baseball Hall of Fame in Cooperstown, New York. Pudge had joked that he hoped Beltre would wait until Sunday to hit No. 3,000 so he could announce it at the podium during the induction ceremony. That wish almost came true. 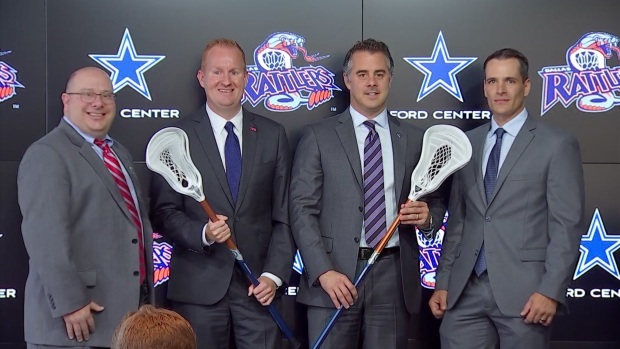 Dallas Rattlers Ready To Open Inaugural Season In North Texas. For those in attendance, it was a moment they will never forget, even in the Texas heat. Also important to note, the Fort Worth Zoo named a baby giraffe Beltre after the newest member of the 3,000-hit club. It’s just one of the perks that comes with the territory. Beltre is now one of two active players in the 3,000-hit club with Miami Marlins outfielder Ichiro Suzuki being the other. Beltre is also tied for 30th place on the hits list with Hall of Fame outfielder Roberto Clemente.